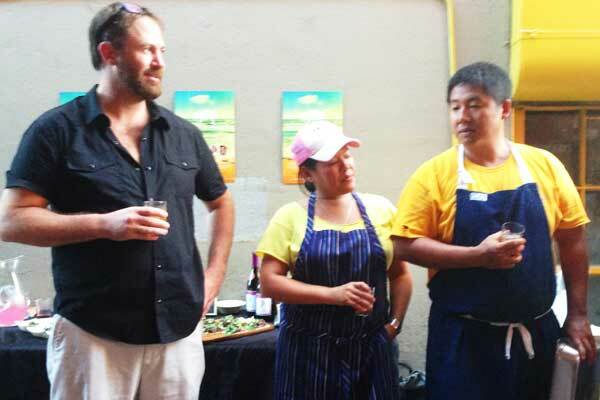 Cochon 555 founder Brady Lowe and chefs Lee Ann Wong and Mark Noguchi talk pig. 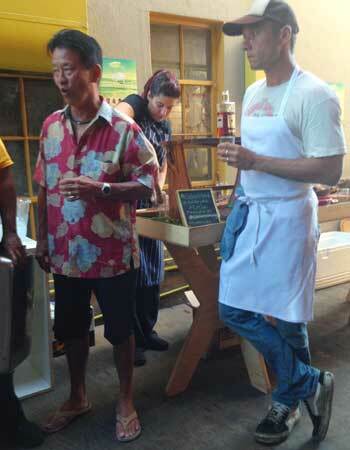 “The pig is a magical animal,” said Brady Lowe, founder of Cochon555 at Taste in Kaka‘ako last Wednesday. “You sound like Homer Simpson,” chuckled Lee Anne Wong, who is one of five guest chefs who will cook at Cochon Island, the Hawai‘i version of Cochon 555, on Hawai‘i Island this Saturday. When Lowe launched Cochon 555 in 2008, his original concept was five chefs, five pigs, five winemakers—hence the name—but it has evolved into all kinds of pig-centered extravaganzas. The point is to support family farming and heritage breed pigs. 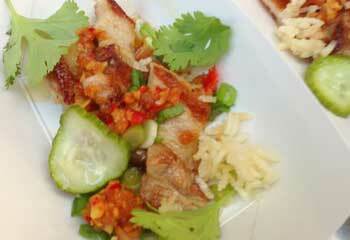 If you have a penchant for pig, head to Cochon Island Sept. 21 at the Mauna Kea Beach Hotel. Featured chefs Wong, Peter Pahk, of the hotel, Bistro Molokini’s Michael Young, Pili Group’s Mark Noguchi, and Ed Kenney of Town will each prepare a menu from a 150-pound family-raised heritage breed of pig, nose-to-tail. Judging by the dishes they whipped up at last week’s preview, it’s worth booking a room at the Mauna Kea (they’ve got a $274 overnight deal for Cochon Island attendees) and having a Pig Night Out. Since 2008, Lowe has been on a neverending tour of pig-eating events—14 times a year he collaborates with local chefs and farmers to create a night of food and education. Last month he was at the Cochon Heritage Fire at Charles Krug Winery in St. Helena, Calif., where talents like Chris Thompson of A16 and Devin Knell of French Laundry cooked over live fires. “Brady wants to offer you the ability to diversify. 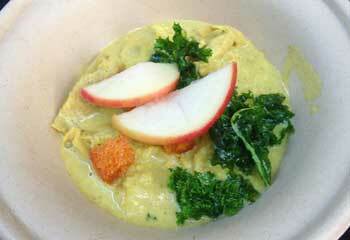 Once you guys can taste the difference, you can pay homage to that animal, it’s something meaningful,” exhorted Wong. The thing that makes heritage breed pigs so delicious isn’t just the genes—heritage breeds such as red wattle and Berkshire are the same breeds that have always been on small mainland farms—it’s the fact that they are raised outdoors, rooting around in soil, exercising, being fed a natural diet and developing a thick layer of protective back fat—just as with good steak, fatty marbling in pigs is essential for flavor. Rustik Rooster Farms in Iowa, home of the prized Iowa Swabian Hall pig, feeds its animals hydroponically grown living greens and dairy products. The result is a delicious meat that took the top prize at Cochon 555 in San Francisco in 2010. Tickets are $125 general, $200 VIP opening. See the Cochon Island full program and buy tickets. 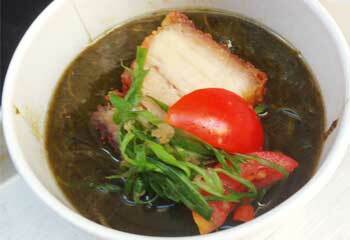 I could have eaten three bowls of this mild curry, the whey-braised pork soft and infused with curry flavor. A fun, texture-happy bite of crowd-pleasing tastes. Ed Kenney always trying to expand our comfort zone. There is more to pig than belly! There is this pumping muscle—heart. It’s a muscle that is working 24-7 so you can imagine it’s not the tenderest of cuts. So Kenney slices it thin and serves it as a taco. 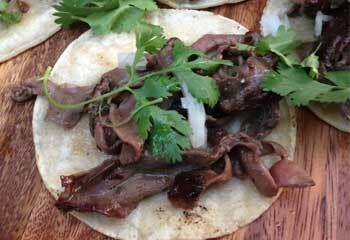 The chewy meat has a blood-rich flavor, and combined with a squeeze of lime and cilantro, adventurously delicious.